Our fair city has been making headlines this week, as everyone from Forbes to Newsweek have started ranking various aspects of cities, and we’ve come out on top more often than not. Our very own Nashville International Airport (BNA) ranked 6th in its size class for customer satisfaction, and Forbes rated Nashville 18 out of 25 Best United States Cities for Jobs. We also had 2 Metro high schools ranked in Newsweek’s Top 25 Public High Schools in the nation, and we’re pretty proud. Contrast that with our neighbors in Clarksville receiving the honor of being the #1 Worst Place to Raise a Family (we didn’t make the top 100, either) and being ranked the Least Heart-Friendly City for women in America and we’re not real sure what to think. We guess the bigger question is: Do we really care? Let us know in the comments what you think about all these surveys, and if they really are indicative of the quality of living in Nashville. 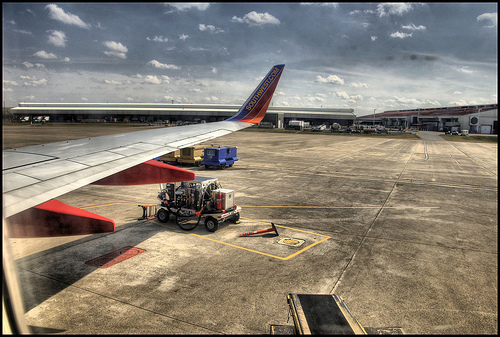 Photo of the Nashville International Airport by SWVirginiaDeity.